Is your body parched and crying out for water? With the recent spell of hot weather – well, hot for the UK (!) – it’s easy for people to become dehydrated without even realising it. Perhaps it’s due to them not being used to hot weather and simply not recognising the warning signs. Having said that, many of the classic signs of dehydration seem so obvious – to us at least (!) – that it can sometimes be difficult to understand how people don’t seem to join the dots. So, this week, we’re going to focus on the most common signs of dehydration. And, don’t be fooled, they apply all year round and not just in the summer (!). Let’s begin with the most obvious ones of feeling thirsty or having a dry mouth. Now you may think these are blindingly obvious but you’d be surprised. To start with by the time you notice you’re feeling thirsty – or your mouth is dry – YOU’RE ALREADY DEHYDRATED. Neither of these are a sign that you’re ABOUT to become dehydrated. It’s your body telling you that you’re ALREADY dehydrated and need to drink some water NOW to redress the balance. And NOT tea, coffee of the like. More on this later. Just to complicate matters further people often mistake feeling thirsty for feeling hungry. While it may sound strange, the thirst sensation is very similar to that for hunger. With many of the symptoms of dehydration are the same as those for hunger, such as feeling headachy, weak or dizzy it’s easy to see how this happens. So rather than stopping for a minute to ask whether they’re thirsty or hungry, people automatically assume they’re hungry and reach for something to eat. As an aside, this is one of the many reasons that diets fail. It’s also the reason that dieters are often advised to drink a glass of water when they start to feel hungry. NOT, as it’s often mistakenly thought, to fill them up – so they eat less – but so they can find out whether they really are hungry or just thirsty. With it being so easy to confuse feeling thirsty for feeling hungry, it’s no surprise that distinguishing between the two becomes harder as we become older. A fascinating piece of research found that after 24 hours without water younger people would quickly reach for a glass of water to redress the balance. However older people, even with a glass of water within easy reach, consistently mistook the feeling of thirst for hunger and reached for food rather than water. With dehydration playing a major part in many problems of old age, it’s begs the question as to how many of these issues could be quickly and easily improved / reversed by simply drinking more water on an ongoing basis. And here’s the other classic sign the colour of your urine. Again, this isn’t rocket science. Whether it’s dark or strongly smelling urine, the message is the same. As is not going to the loo very often, either way. And we trust you don’t need us to spell it out to you! Although, after second thoughts, having heard a very interesting piece of logic from a family member recently, perhaps we do. He was busy recounting a recent trip to the pub and a few beers, saying how much he’d needed to have a drink of beer. How unusual it was that he hadn’t needed to go to the Gents while he was out. In fact he hadn’t needed to pay a visit until he got home and was thinking of going to bed (!). When it was suggested that the reason for this was that he was dehydrated he couldn’t believe it. Of course he wasn’t he said, he makes sure he drinks plenty of tea and coffee during the day whenever he’s thirsty. Honestly, what can you do?!? And now for some longer term signs, although they’re still obvious if you stop to think about them. Dry skin is a common problem. 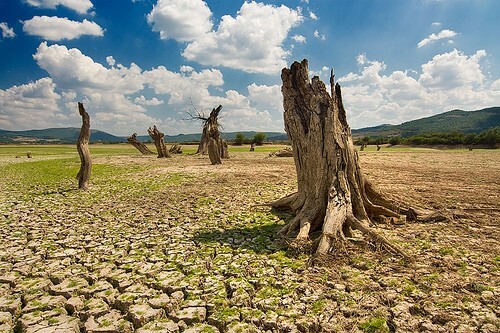 With water being essential for all body processes – and the skin being the largest organ in the body – it’s not surprising that a lack of water can be seen here too. And dry skin also makes it harder for the body to sweat; which not only impedes temperature control but also a major route of detoxification for the body. Dry eyes. Water is a major component of tears which lubricate the eyes. However dehydration also dries out the tear ducts themselves, making matters worse. Slow recovery from any physical activity, whether day to day activity or more strenuous bouts. Not only does dehydration slow down the so called “recovery period” after any physical activity, but also the ongoing growth and repair of muscles. Dehydration is also the number one reason for cramp in the calf muscles, which is most prevalent during the warmer summer months. Related to this is fatigue, with water being needed by all the essential body processes, as well as affecting oxygenation levels in the body as a whole too. When you stop to think about it, it’s not surprising that the end result of low water and oxygen levels is low energy and fatigue. Finally, if you need another incentive, many of the signs of ageing are directly linked to dehydration. As we age, the body’s ability to hold water decreases, leading to saggy skin in all those places we’d rather not talk about! Which means, ironically, that more water needs to be drunk as we got older not less. There really are no prizes for guessing the solution (!) but we’ll say it anyway. As so often is the case it’s very simple and is probably the number one thing we talk to clients about. It’s all about prevention, rather than cure. Making sure that you stay hydrated, rather than having to address the problem later. The easiest way to stay hydrated is to make sure that you always have some water with you, whether a bottle in your bag or glass on your desk. Having regular sips of water during the day is much easier than having to drink a larger amount once you realise you’re thirsty. The guideline for daily water intake you’ll most regularly hear is two litres of water a day, although there are several large BUT’s with this figure. As you should already know (!) tea, coffee, alcohol and fizzy drinks don’t count. Worse still, you need to make sure that you drink the same again of these drinks just to counteract their dehydrating effects. This is why we always suggest having a glass of water while waiting for the kettle to boil, if you’re going to have a cup of tea or coffee. You also need to bear in mind that if it’s hot – or you’re physically active – then you’ll need to drink more water to replace that lost in sweat / perspiration. And the same comments apply if you’re mentally active too, as the brain and nervous system burn up large amounts of water too. If this sounds far too much like hard work the good news is that as soon as you start to drink more water then you’ve broken the dehydration cycle. You won’t then be so thirsty. And if you’re not so thirsty then you won’t find yourself reaching for another tea / coffee / fizzy drink shortly after the last one. It really is that simple. If you’re still not convinced, the simplest way to check if you’re drinking enough is to have a quick peek at your urine. Colourless is a good sign and what you should be aiming at. Yellow is the first sign that the body is starting to become dehydrated. Orange – or, even worse, brown – means that the body is truly dehydrated. At this stage, the kidneys are put under pressure, with the other body organs and functions following on quickly behind. Drinking water is one of those simple things that always seems to get a bad press. It’s seen as boring and not worth the effort. But, as so often is the case, the opposite is really true. Water is an essential part of who we are and our life. It really is that simple.